Born at Weybridge, Surrey, England on 15 December 1892, son of Robert W. Charles and Alice Priscilla Poulton, he attended the Edward the Sixth Royal Grammar School and emigrated to Canada in 1910. Starting as a rod man with a survey party on the Grand Trunk Pacific Railway west of Calgary, he rose to Chief Engineer of the Western Region for the Canadian National Railways. After his official retirement at age 65 he continued with the railway for another eight years as Consulting Engineer. He was involved in railway construction throughout Canada, including a portion of the Hudson Bay Railway to Churchill, and railways in Zambia (Africa) and Brazil. During the First World War he served with the Royal Winnipeg Rifles, transferring to the Canadian Engineers and the Canadian Railway Troops, rising to the rank of Major. He was twice mentioned in despatches and was presented with the Distinguished Service Order by King George V. During the Second World War he commanded a company of the Royal Canadian Engineers and was seconded to the US Army to aid in railway construction. 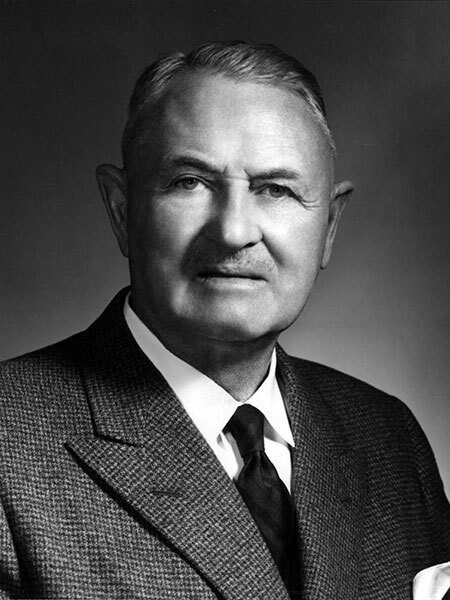 He was a member of the Association of Professional Engineers of Manitoba from 1921 to his death, serving as its President in 1953. He received the Julian C. Smith Award from the Engineering Institute of Canada in 1968 and was a member of the Engineering Institute of Canada, American Railway Engineering Association, Royal Canadian Legion, Norwood Masonic Lodge, and Manitoba Game and Fish Association. He received honorary doctorates from the University of Manitoba (1973) and the Technical University of Nova Scotia (1987), was presented with the Canadian Engineers Gold Medal Award by the Canadian Council of Professional Engineers (1981), and was inducted into the Order of Canada (1973). He published an autobiography entitled Westward Go Young Man in 1978. He died at Winnipeg on 10 February 1992. Obituary, Winnipeg Free Press, 14 February 1992, page 25.